Fire extinguisher signs 50 x 100 mm in case of emergency break glass self adhesive vinyl labels. Fire extinguisher signs - 50 x 100 mm in case of emergency break glass self adhesive vinyl labels. Fire extinguisher signs 100 x 100 mm in case of fire break glass self adhesive vinyl labels. Fire extinguisher signs - 100 x 100 mm in case of fire break glass self adhesive vinyl labels. Fire extinguisher signs 100 x 100 mm in case of fire break glass 1.2 mm rigid plastic signs. Fire extinguisher signs - 100 x 100 mm in case of fire break glass 1.2 mm rigid plastic signs. Fire extinguisher signs 50 x 100 mm in case of fire break glass self adhesive vinyl labels. Fire extinguisher signs - 50 x 100 mm in case of fire break glass self adhesive vinyl labels. Fire extinguisher signs 50 x 100 mm in case of emergency break glass 1.2 mm rigid plastic signs. 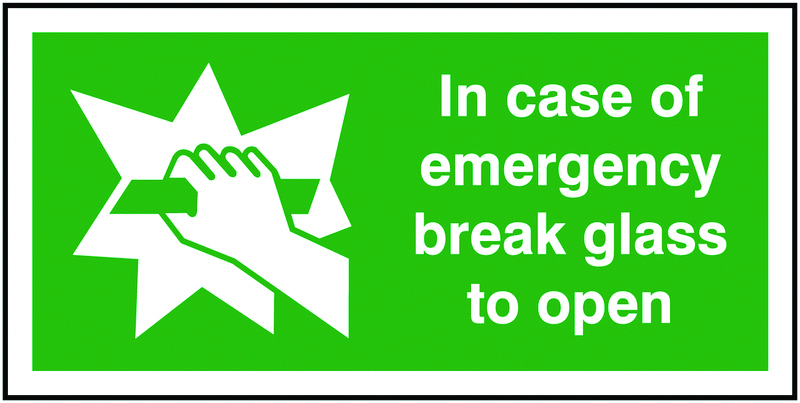 Fire extinguisher signs - 50 x 100 mm in case of emergency break glass 1.2 mm rigid plastic signs. Fire extinguisher signs 150 x 125 mm in case of fire break glass self adhesive vinyl labels. Fire extinguisher signs - 150 x 125 mm in case of fire break glass self adhesive vinyl labels. Fire extinguisher signs 200 x 200 mm in case of fire break glass self adhesive vinyl labels. Fire extinguisher signs - 200 x 200 mm in case of fire break glass self adhesive vinyl labels. Fire extinguisher signs 50 x 100 mm in case of fire break glass 1.2 mm rigid plastic signs. Fire extinguisher signs - 50 x 100 mm in case of fire break glass 1.2 mm rigid plastic signs. Fire extinguisher signs 150 x 125 mm in case of fire break glass 1.2 mm rigid plastic signs. Fire extinguisher signs - 150 x 125 mm in case of fire break glass 1.2 mm rigid plastic signs. 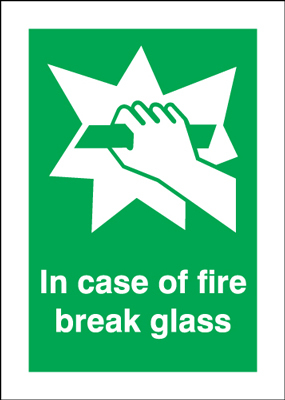 Fire extinguisher signs 200 x 200 mm in case of fire break glass 1.2 mm rigid plastic signs. 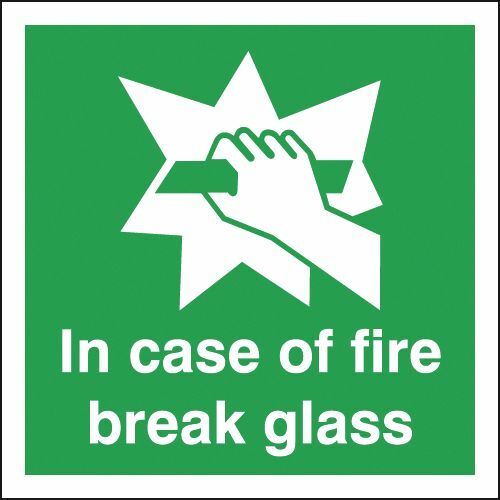 Fire extinguisher signs - 200 x 200 mm in case of fire break glass 1.2 mm rigid plastic signs. Fire extinguisher signs 150 x 300 mm in case of fire break glass self adhesive vinyl labels. Fire extinguisher signs - 150 x 300 mm in case of fire break glass self adhesive vinyl labels. Fire extinguisher signs 100 x 100 mm in case of fire break glass 1.2 mm rigid plastic signs with s/a backing. Fire extinguisher signs - 100 x 100 mm in case of fire break glass 1.2 mm rigid plastic signs with self adhesive backing. Fire extinguisher signs 150 x 300 mm in case of fire break glass 1.2 mm rigid plastic signs. 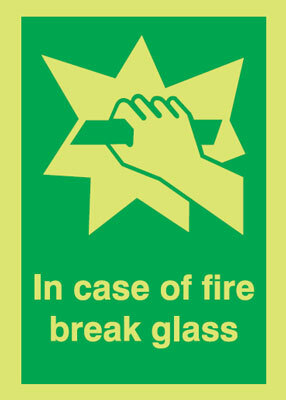 Fire extinguisher signs - 150 x 300 mm in case of fire break glass 1.2 mm rigid plastic signs. Fire extinguisher signs 50 x 100 mm in case of emergency break glass 1.2 mm rigid plastic signs with s/a backing. 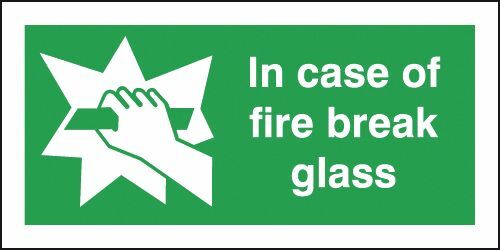 Fire extinguisher signs - 50 x 100 mm in case of emergency break glass 1.2 mm rigid plastic signs with self adhesive backing. Fire extinguisher signs 50 x 100 mm in case of fire break glass 1.2 mm rigid plastic signs with s/a backing. Fire extinguisher signs - 50 x 100 mm in case of fire break glass 1.2 mm rigid plastic signs with self adhesive backing. Fire extinguisher signs 150 x 125 mm in case of fire break glass 1.2 mm rigid plastic signs with s/a backing. Fire extinguisher signs - 150 x 125 mm in case of fire break glass 1.2 mm rigid plastic signs with self adhesive backing. Fire extinguisher signs 200 x 200 mm in case of fire break glass 1.2 mm rigid plastic signs with s/a backing. Fire extinguisher signs - 200 x 200 mm in case of fire break glass 1.2 mm rigid plastic signs with self adhesive backing. Fire extinguisher signs 150 x 300 mm in case of fire break glass 1.2 mm rigid plastic signs with s/a backing. Fire extinguisher signs - 150 x 300 mm in case of fire break glass 1.2 mm rigid plastic signs with self adhesive backing. Fire extinguisher signs 280 x 90 carbon dioxide for use on self adhesive vinyl labels. Fire extinguisher signs - 280 x 90 carbon dioxide for use on self adhesive vinyl labels. 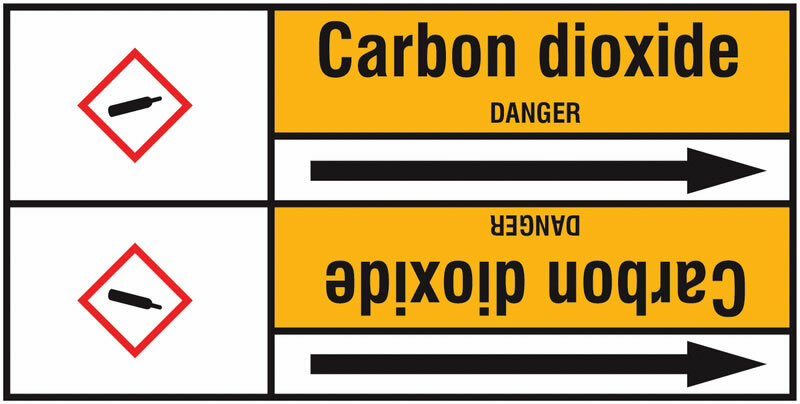 Fire extinguisher signs 280 x 90 carbon dioxide for use on 1.2 mm rigid plastic signs. 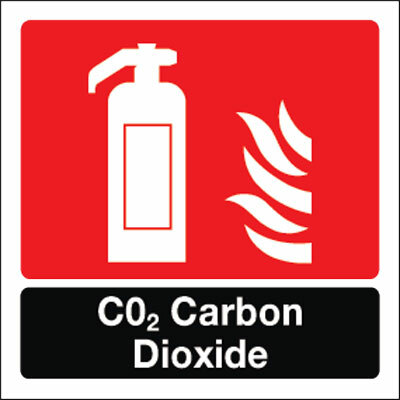 Fire extinguisher signs - 280 x 90 carbon dioxide for use on 1.2 mm rigid plastic signs. Fire extinguisher signs 800 x 600 mm carbon dioxide missing self adhesive vinyl labels. Fire extinguisher signs - 800 x 600 mm carbon dioxide missing self adhesive vinyl labels. Fire extinguisher signs 280 x 90 dry powder extinguisher for use self adhesive vinyl labels. Fire extinguisher signs - 280 x 90 dry powder extinguisher for use self adhesive vinyl labels. Fire extinguisher signs 280 x 90 dry powder extinguisher for use 1.2 mm rigid plastic signs. Fire extinguisher signs - 280 x 90 dry powder extinguisher for use 1.2 mm rigid plastic signs. Fire extinguisher signs 280 x 90 dry powder extinguisher for use 1.2 mm rigid plastic signs with s/a backing. 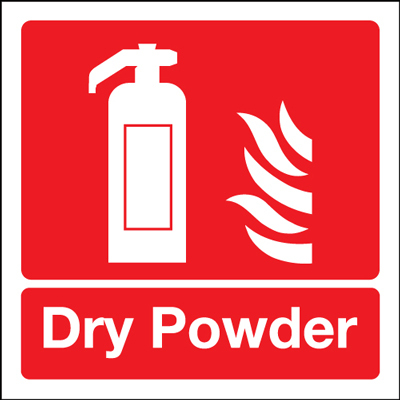 Fire extinguisher signs - 280 x 90 dry powder extinguisher for use 1.2 mm rigid plastic signs with self adhesive backing. Fire extinguisher signs 100 x 100 mm fire extinguisher symbol and flame self adhesive vinyl labels. Fire extinguisher signs - 100 x 100 mm fire extinguisher symbol & flame self adhesive vinyl labels. Fire extinguisher signs 150 x 150 mm fire extinguisher symbol and flame self adhesive vinyl labels. Fire extinguisher signs - 150 x 150 mm fire extinguisher symbol & flame self adhesive vinyl labels. Fire extinguisher signs 100 x 100 mm fire extinguisher symbol and flame 1.2 mm rigid plastic signs. Fire extinguisher signs - 100 x 100 mm fire extinguisher symbol & flame 1.2 mm rigid plastic signs. Fire extinguisher signs 280 x 90 fire extinguisher symbol and flame self adhesive vinyl labels. Fire extinguisher signs - 280 x 90 fire extinguisher symbol & flame self adhesive vinyl labels. Fire extinguisher signs 100 x 200 mm fire extinguisher symbol and flame self adhesive vinyl labels. Fire extinguisher signs - 100 x 200 mm fire extinguisher symbol & flame self adhesive vinyl labels. Fire extinguisher signs 100 x 200 mm not for use on electrical fires self adhesive vinyl labels. Fire extinguisher signs - 100 x 200 mm not for use on electrical fires self adhesive vinyl labels. Fire extinguisher signs A5 inch the event of fire do not use this self adhesive vinyl labels. Fire extinguisher signs - A5 in the event of fire do not use this self adhesive vinyl labels. Fire extinguisher signs 100 x 200 mm not for use on electrical fires 1.2 mm rigid plastic signs. Fire extinguisher signs - 100 x 200 mm not for use on electrical fires 1.2 mm rigid plastic signs. Fire extinguisher signs 200 x 200 mm not for use on electrical fires self adhesive vinyl labels. 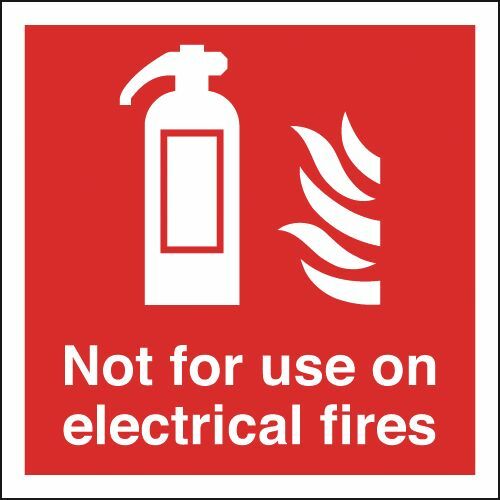 Fire extinguisher signs - 200 x 200 mm not for use on electrical fires self adhesive vinyl labels. Fire extinguisher signs 100 x 200 mm fire extinguisher symbol and flame 1.2 mm rigid plastic signs. Fire extinguisher signs - 100 x 200 mm fire extinguisher symbol & flame 1.2 mm rigid plastic signs. Fire extinguisher signs 150 x 150 mm fire extinguisher symbol and flame 1.2 mm rigid plastic signs. Fire extinguisher signs - 150 x 150 mm fire extinguisher symbol & flame 1.2 mm rigid plastic signs. Fire extinguisher signs 200 x 200 mm fire extinguisher symbol and flame self adhesive vinyl labels. Fire extinguisher signs - 200 x 200 mm fire extinguisher symbol & flame self adhesive vinyl labels. Fire extinguisher signs 150 x 125 mm in the event of fire do not use self adhesive vinyl labels. Fire extinguisher signs - 150 x 125 mm in the event of fire do not use self adhesive vinyl labels. Fire extinguisher signs 200 x 250 mm fire extinguisher symbol and flame self adhesive vinyl labels. Fire extinguisher signs - 200 x 250 mm fire extinguisher symbol & flame self adhesive vinyl labels. Fire extinguisher signs 280 x 90 fire extinguisher symbol and flame 1.2 mm rigid plastic signs. Fire extinguisher signs - 280 x 90 fire extinguisher symbol & flame 1.2 mm rigid plastic signs. Fire extinguisher signs A5 inch the event of fire do not use this 1.2 mm rigid plastic signs. Fire extinguisher signs - A5 in the event of fire do not use this 1.2 mm rigid plastic signs. Fire extinguisher signs 175 x 125 mm in the event of fire do not use self adhesive vinyl labels. Fire extinguisher signs - 175 x 125 mm in the event of fire do not use self adhesive vinyl labels. Fire extinguisher signs 100 x 250 mm in the event of fire do not use self adhesive vinyl labels. 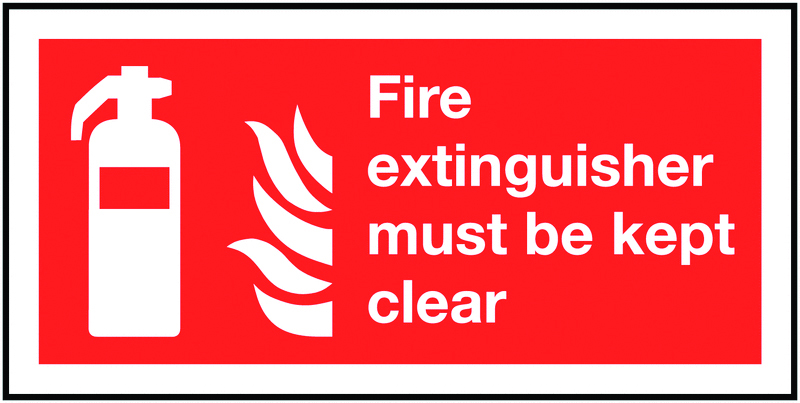 Fire extinguisher signs - 100 x 250 mm in the event of fire do not use self adhesive vinyl labels. Fire extinguisher signs 150 x 125 mm in the event of fire do not use 1.2 mm rigid plastic signs. Fire extinguisher signs - 150 x 125 mm in the event of fire do not use 1.2 mm rigid plastic signs. Fire extinguisher signs 250 x 200 mm in the event of fire do not use self adhesive vinyl labels. Fire extinguisher signs - 250 x 200 mm in the event of fire do not use self adhesive vinyl labels. Fire extinguisher signs 200 x 200 mm not for use on electrical fires 1.2 mm rigid plastic signs. Fire extinguisher signs - 200 x 200 mm not for use on electrical fires 1.2 mm rigid plastic signs. Fire extinguisher signs 200 x 200 mm fire extinguisher symbol and flame 1.2 mm rigid plastic signs. Fire extinguisher signs - 200 x 200 mm fire extinguisher symbol & flame 1.2 mm rigid plastic signs. Fire extinguisher signs 200 x 400 mm fire extinguisher symbol and flame self adhesive vinyl labels. Fire extinguisher signs - 200 x 400 mm fire extinguisher symbol & flame self adhesive vinyl labels. Fire extinguisher signs 200 x 400 mm not for use on electrical fires self adhesive vinyl labels. 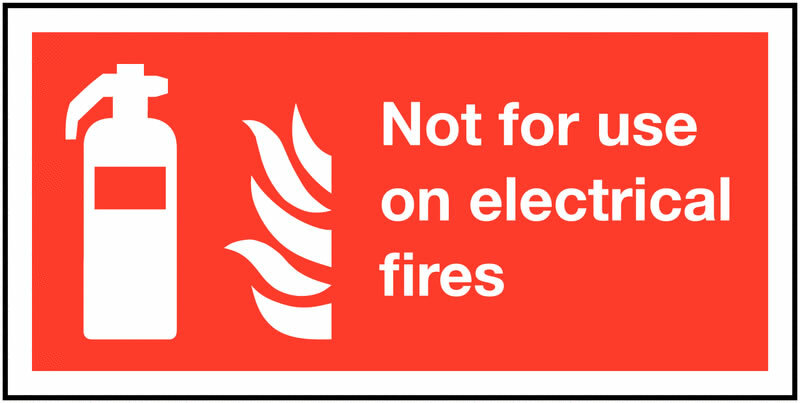 Fire extinguisher signs - 200 x 400 mm not for use on electrical fires self adhesive vinyl labels. Fire extinguisher signs 300 x 250 mm in the event of fire do not use self adhesive vinyl labels. Fire extinguisher signs - 300 x 250 mm in the event of fire do not use self adhesive vinyl labels. Fire extinguisher signs 175 x 125 mm in the event of fire do not use 1.2 mm rigid plastic signs. Fire extinguisher signs - 175 x 125 mm in the event of fire do not use 1.2 mm rigid plastic signs. Fire extinguisher signs 200 x 250 mm fire extinguisher symbol and flame 1.2 mm rigid plastic signs. 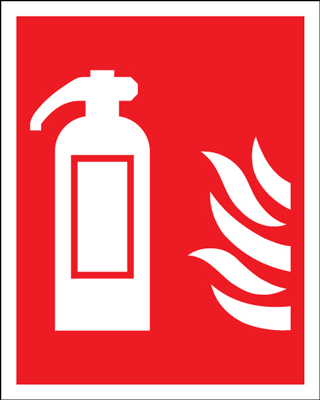 Fire extinguisher signs - 200 x 250 mm fire extinguisher symbol & flame 1.2 mm rigid plastic signs. Fire extinguisher signs A4 in the event of fire do not use this self adhesive vinyl labels. Fire extinguisher signs - A4 in the event of fire do not use this self adhesive vinyl labels. Fire extinguisher signs 100 x 250 mm in the event of fire do not use 1.2 mm rigid plastic signs. Fire extinguisher signs - 100 x 250 mm in the event of fire do not use 1.2 mm rigid plastic signs. Fire extinguisher signs 100 x 100 mm fire extinguisher symbol and flame 1.2 mm rigid plastic signs with s/a backing. Fire extinguisher signs - 100 x 100 mm fire extinguisher symbol & flame 1.2 mm rigid plastic signs with self adhesive backing. Fire extinguisher signs 200 x 400 mm fire extinguisher symbol and flame 1.2 mm rigid plastic signs. 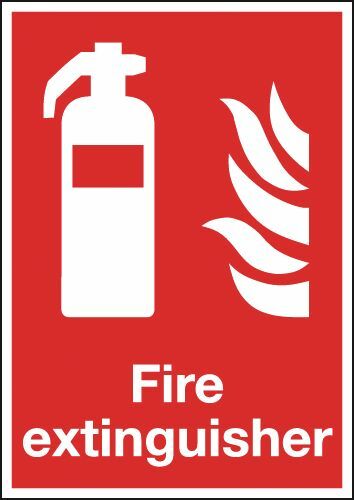 Fire extinguisher signs - 200 x 400 mm fire extinguisher symbol & flame 1.2 mm rigid plastic signs. Fire extinguisher signs 200 x 400 mm not for use on electrical fires 1.2 mm rigid plastic signs. Fire extinguisher signs - 200 x 400 mm not for use on electrical fires 1.2 mm rigid plastic signs. Fire extinguisher signs 250 x 200 mm in the event of fire do not use 1.2 mm rigid plastic signs. 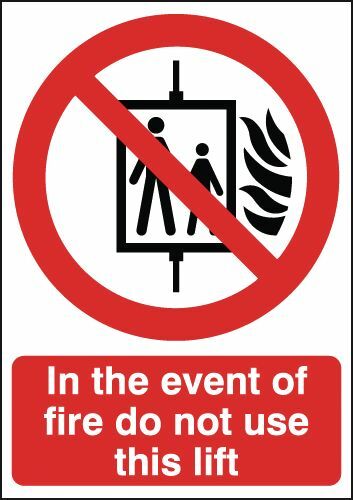 Fire extinguisher signs - 250 x 200 mm in the event of fire do not use 1.2 mm rigid plastic signs. Fire extinguisher signs 150 x 150 mm fire extinguisher symbol and flame 1.2 mm rigid plastic signs with s/a backing. Fire extinguisher signs - 150 x 150 mm fire extinguisher symbol & flame 1.2 mm rigid plastic signs with self adhesive backing. Fire extinguisher signs 300 x 250 mm fire extinguisher symbol and flame 1.2 mm rigid plastic signs. Fire extinguisher signs - 300 x 250 mm fire extinguisher symbol & flame 1.2 mm rigid plastic signs. Fire extinguisher signs 300 x 250 mm in the event of fire do not use 1.2 mm rigid plastic signs. Fire extinguisher signs - 300 x 250 mm in the event of fire do not use 1.2 mm rigid plastic signs. Fire extinguisher signs 200 x 400 mm not for use on electrical fires 1.2 mm rigid plastic signs with s/a backing. Fire extinguisher signs - 200 x 400 mm not for use on electrical fires 1.2 mm rigid plastic signs with self adhesive backing. Fire extinguisher signs 200 x 400 mm fire extinguisher symbol and flame 1.2 mm rigid plastic signs with s/a backing. Fire extinguisher signs - 200 x 400 mm fire extinguisher symbol & flame 1.2 mm rigid plastic signs with self adhesive backing. Fire extinguisher signs 100 x 200 mm fire extinguisher symbol and flame 1.2 mm rigid plastic signs with s/a backing. Fire extinguisher signs - 100 x 200 mm fire extinguisher symbol & flame 1.2 mm rigid plastic signs with self adhesive backing. Fire extinguisher signs A4 in the event of fire do not use this 1.2 mm rigid plastic signs. Fire extinguisher signs - A4 in the event of fire do not use this 1.2 mm rigid plastic signs. Fire extinguisher signs 175 x 125 mm in the event of fire do not use 1.2 mm rigid plastic signs with s/a backing. Fire extinguisher signs - 175 x 125 mm in the event of fire do not use 1.2 mm rigid plastic signs with self adhesive backing. Fire extinguisher signs 150 x 125 mm in the event of fire do not use 1.2 mm rigid plastic signs with s/a backing. 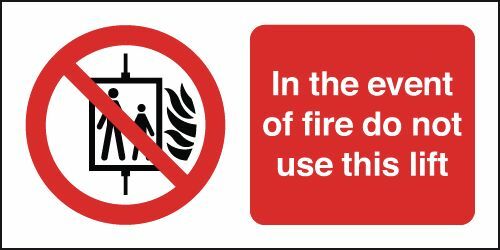 Fire extinguisher signs - 150 x 125 mm in the event of fire do not use 1.2 mm rigid plastic signs with self adhesive backing. Fire extinguisher signs 280 x 90 fire extinguisher symbol and flame 1.2 mm rigid plastic signs with s/a backing. Fire extinguisher signs - 280 x 90 fire extinguisher symbol & flamee 1.2 mm rigid plastic signs with self adhesive backing. Fire extinguisher signs A3 in the event of fire do not use this self adhesive vinyl labels. Fire extinguisher signs - A3 in the event of fire do not use this self adhesive vinyl labels. Fire extinguisher signs 100 x 200 mm not for use on electrical fires 1.2 mm rigid plastic signs with s/a backing. Fire extinguisher signs - 100 x 200 mm not for use on electrical fires 1.2 mm rigid plastic signs with self adhesive backing. Fire extinguisher signs 200 x 200 mm fire extinguisher symbol and flame 1.2 mm rigid plastic signs with s/a backing. Fire extinguisher signs - 200 x 200 mm fire extinguisher symbol & flame 1.2 mm rigid plastic signs with self adhesive backing. Fire extinguisher signs 100 x 250 mm in the event of fire do not use 1.2 mm rigid plastic signs with s/a backing. 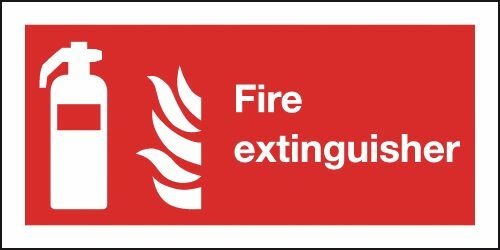 Fire extinguisher signs - 100 x 250 mm in the event of fire do not use 1.2 mm rigid plastic signs with self adhesive backing. Fire extinguisher signs A5 inch the event of fire do not use this 1.2 mm rigid plastic signs with s/a backing. Fire extinguisher signs - A5 in the event of fire do not use this 1.2 mm rigid plastic signs with self adhesive backing. Fire extinguisher signs 200 x 250 mm fire extinguisher symbol and flame 1.2 mm rigid plastic signs with s/a backing. 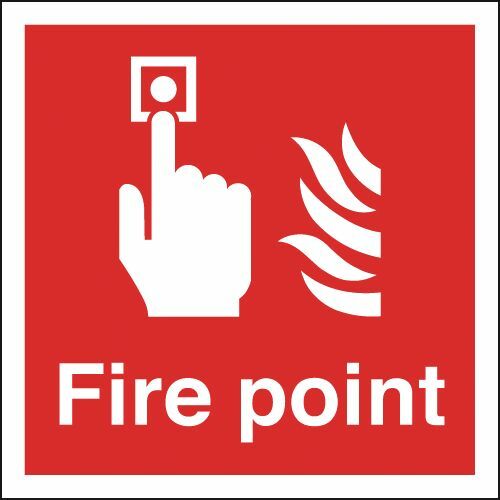 Fire extinguisher signs - 200 x 250 mm fire extinguisher symbol & flame 1.2 mm rigid plastic signs with self adhesive backing. Fire extinguisher signs A2 420 x 598 mm in the event of fire do not use this self adhesive vinyl labels. Fire extinguisher signs - A2 in the event of fire do not use this self adhesive vinyl labels. Fire extinguisher signs 200 x 200 mm not for use on electrical fires 1.2 mm rigid plastic signs with s/a backing. Fire extinguisher signs - 200 x 200 mm not for use on electrical fires 1.2 mm rigid plastic signs with self adhesive backing. Fire extinguisher signs 450 x 450 mm fire extinguisher symbol and flame 1.2 mm rigid plastic signs. Fire extinguisher signs - 450 x 450 mm fire extinguisher symbol & flame 1.2 mm rigid plastic signs. Fire extinguisher signs 250 x 200 mm in the event of fire do not use 1.2 mm rigid plastic signs with s/a backing. 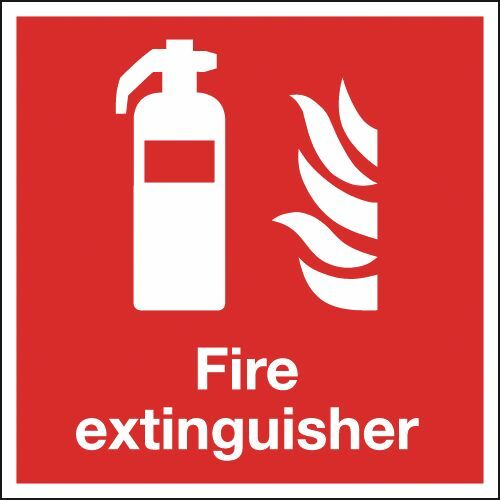 Fire extinguisher signs - 250 x 200 mm in the event of fire do not use 1.2 mm rigid plastic signs with self adhesive backing. Fire extinguisher signs 300 x 250 mm in the event of fire do not use 1.2 mm rigid plastic signs with s/a backing. Fire extinguisher signs - 300 x 250 mm in the event of fire do not use 1.2 mm rigid plastic signs with self adhesive backing. Fire extinguisher signs A3 in the event of fire do not use this 1.2 mm rigid plastic signs. Fire extinguisher signs - A3 in the event of fire do not use this 1.2 mm rigid plastic signs. Fire extinguisher signs A1 in the event of fire do not use this self adhesive vinyl labels. Fire extinguisher signs - A1 in the event of fire do not use this self adhesive vinyl labels. Fire extinguisher signs 800 x 600 mm carbon dioxide missing 1.2 mm rigid plastic signs. 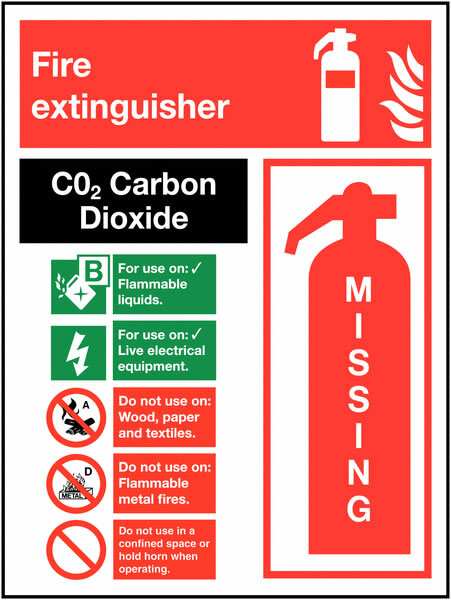 Fire extinguisher signs - 800 x 600 mm carbon dioxide missing 1.2 mm rigid plastic signs. Fire extinguisher signs A3 in the event of fire do not use this 1.2 mm rigid plastic signs with s/a backing. Fire extinguisher signs - A3 in the event of fire do not use this 1.2 mm rigid plastic signs with self adhesive backing. Fire extinguisher signs A2 420 x 598 mm in the event of fire do not use this 1.2 mm rigid plastic signs. Fire extinguisher signs - A2 in the event of fire do not use this 1.2 mm rigid plastic signs. Fire extinguisher signs 450 x 450 mm fire extinguisher symbol and flame 1.2 mm rigid plastic signs with s/a backing. Fire extinguisher signs - 450 x 450 mm fire extinguisher symbol & flame 1.2 mm rigid plastic signs with self adhesive backing. Fire extinguisher signs A2 420 x 598 mm in the event of fire do not use this 1.2 mm rigid plastic signs with s/a backing. Fire extinguisher signs - A2 in the event of fire do not use this 1.2 mm rigid plastic signs with self adhesive backing. Fire extinguisher signs A1 in the event of fire do not use this 1.2 mm rigid plastic signs. Fire extinguisher signs - A1 in the event of fire do not use this 1.2 mm rigid plastic signs. Fire extinguisher signs A1 in the event of fire do not use this 1.2 mm rigid plastic signs with s/a backing. Fire extinguisher signs - A1 in the event of fire do not use this 1.2 mm rigid plastic signs with self adhesive backing. Fire extinguisher signs 800 x 600 mm carbon dioxide missing 1.2 mm rigid plastic signs with s/a backing. 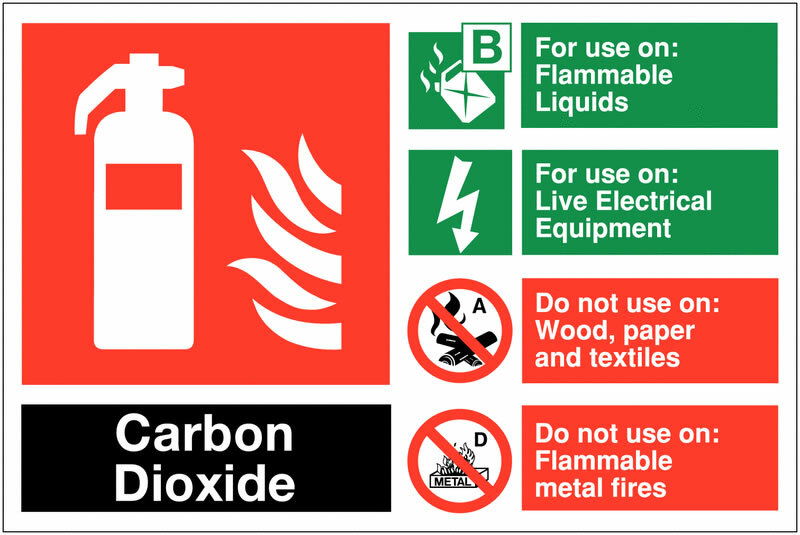 Fire extinguisher signs - 800 x 600 mm carbon dioxide missing 1.2 mm rigid plastic signs with self adhesive backing. Fire extinguisher signs A4 in the event of fire do not use this 1.2 mm rigid plastic signs with s/a backing. Fire extinguisher signs - A4 in the event of fire do not use this 1.2 mm rigid plastic signs with self adhesive backing. Fire extinguisher signs 450 x 450 mm fire extinguisher (symbol only) self adhesive vinyl labels. Fire extinguisher signs - 450 x 450 mm fire extinguisher (symbol only) self adhesive self adhesive vinyl labels. Fire extinguisher signs 150 x 125 mm emergency telephone self adhesive vinyl labels. Fire extinguisher signs - 150 x 125 mm emergency telephone self adhesive vinyl labels. Fire extinguisher signs 150 x 125 mm emergency telephone 1.2 mm rigid plastic signs. Fire extinguisher signs - 150 x 125 mm emergency telephone 1.2 mm rigid plastic signs. Fire extinguisher signs A5emergency telephone 1.2 mm rigid plastic signs. Fire extinguisher signs - A5 emergency telephone 1.2 mm rigid plastic signs. Fire extinguisher signs 300 x 300 mm emergency telephone self adhesive vinyl labels. Fire extinguisher signs - 300 x 300 mm emergency telephone self adhesive vinyl labels. 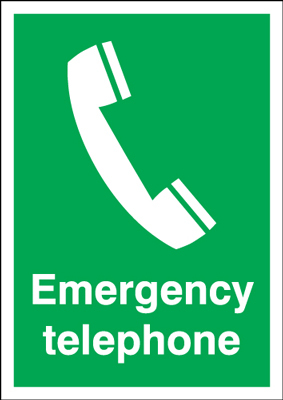 Fire extinguisher signs 150 x 125 mm emergency telephone 1.2 mm rigid plastic signs with s/a backing. Fire extinguisher signs - 150 x 125 mm emergency telephone 1.2 mm rigid plastic signs with self adhesive backing. Fire extinguisher signs 300 x 300 mm emergency telephone 1.2 mm rigid plastic signs. Fire extinguisher signs - 300 x 300 mm emergency telephone 1.2 mm rigid plastic signs. Fire extinguisher signs A3 emergency telephone 1.2 mm rigid plastic signs. Fire extinguisher signs - A3 emergency telephone 1.2 mm rigid plastic signs. Fire extinguisher signs A4 emergency telephone 1.2 mm rigid plastic signs. Fire extinguisher signs - A4 emergency telephone 1.2 mm rigid plastic signs. Fire extinguisher signs A2 420 x 598 mm emergency telephone 1.2 mm rigid plastic signs. Fire extinguisher signs - A2 emergency telephone 1.2 mm rigid plastic signs. 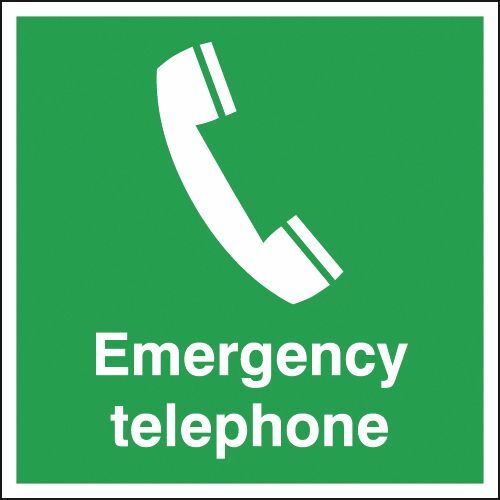 Fire extinguisher signs 300 x 300 mm emergency telephone 1.2 mm rigid plastic signs with s/a backing. Fire extinguisher signs - 300 x 300 mm emergency telephone 1.2 mm rigid plastic signs with self adhesive backing. Fire extinguisher signs A1 emergency telephone 1.2 mm rigid plastic signs. Fire extinguisher signs - A1 emergency telephone 1.2 mm rigid plastic signs. Fire extinguisher signs A4 emergency evacuation chair self adhesive vinyl labels. Fire extinguisher signs - A4 emergency evacuation chair self adhesive vinyl labels. Fire extinguisher signs A3 emergency evacuation chair self adhesive vinyl labels. Fire extinguisher signs - A3 emergency evacuation chair self adhesive vinyl labels. Fire extinguisher signs 400 x 300 mm emergency evacuation chair self adhesive vinyl labels. Fire extinguisher signs - 400 x 300 mm emergency evacuation chair self adhesive vinyl labels. Fire extinguisher signs A4 emergency evacuation chair 1.2 mm rigid plastic signs. Fire extinguisher signs - A4 emergency evacuation chair 1.2 mm rigid plastic signs. Fire extinguisher signs 400 x 300 mm emergency evacuation chair 1.2 mm rigid plastic signs. Fire extinguisher signs - 400 x 300 mm emergency evacuation chair 1.2 mm rigid plastic signs. Fire extinguisher signs A3 emergency evacuation chair 1.2 mm rigid plastic signs. Fire extinguisher signs - A3 emergency evacuation chair 1.2 mm rigid plastic signs. Fire extinguisher signs A3 emergency evacuation chair 1.2 mm rigid plastic signs with s/a backing. Fire extinguisher signs - A3 emergency evacuation chair 1.2 mm rigid plastic signs with self adhesive backing. Fire extinguisher signs A4 emergency evacuation chair 1.2 mm rigid plastic signs with s/a backing. 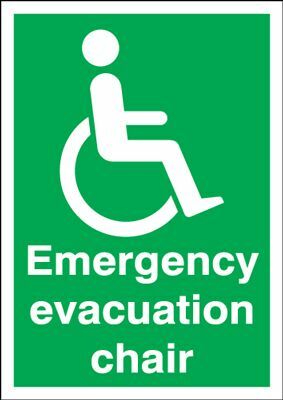 Fire extinguisher signs - A4 emergency evacuation chair 1.2 mm rigid plastic signs with self adhesive backing. Fire extinguisher signs A5fire extinguisher (symbol and flames) 1.2 mm rigid plastic signs. Fire extinguisher signs - A5 fire extinguisher (symbol & flames) 1.2 mm rigid plastic signs. Fire extinguisher signs 250 x 300 mm know your fire extinguisher self adhesive vinyl labels. Fire extinguisher signs - 250 x 300 mm know your fire extinguisher self adhesive vinyl labels. Fire extinguisher signs 300 x 500 mm know your fire extinguisher self adhesive vinyl labels. Fire extinguisher signs - 300 x 500 mm know your fire extinguisher self adhesive vinyl labels. 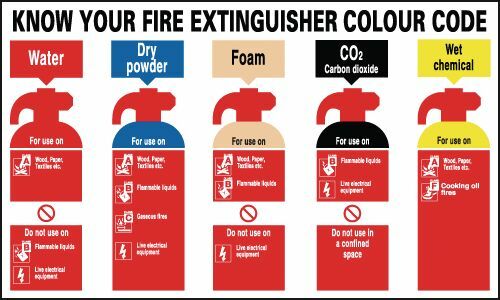 Fire extinguisher signs 300 x 500 mm know your fire extinguisher 1.2 mm rigid plastic signs. Fire extinguisher signs - 300 x 500 mm know your fire extinguisher 1.2 mm rigid plastic signs. Fire extinguisher signs 250 x 300 mm know your fire extinguisher 1.2 mm rigid plastic signs. Fire extinguisher signs - 250 x 300 mm know your fire extinguisher 1.2 mm rigid plastic signs. Fire extinguisher signs 250 x 300 mm know your fire extinguisher 1.2 mm rigid plastic signs with s/a backing. Fire extinguisher signs - 250 x 300 mm know your fire extinguisher 1.2 mm rigid plastic signs with self adhesive backing. Fire extinguisher signs 300 x 500 mm know your fire extinguisher 1.2 mm rigid plastic signs with s/a backing. Fire extinguisher signs - 300 x 500 mm know your fire extinguisher 1.2 mm rigid plastic signs with self adhesive backing. Fire extinguisher signs 200 x 200 mm fire fighting equipment self adhesive vinyl labels. Fire extinguisher signs - 200 x 200 mm fire fighting equipment self adhesive vinyl labels. Fire extinguisher signs 200 x 200 mm fire fighting equipment 1.2 mm rigid plastic signs. Fire extinguisher signs - 200 x 200 mm fire fighting equipment 1.2 mm rigid plastic signs. Fire extinguisher signs 200 x 400 mm fire fighting equipment self adhesive vinyl labels. Fire extinguisher signs - 200 x 400 mm fire fighting equipment self adhesive vinyl labels. Fire extinguisher signs 200 x 400 mm fire fighting equipment 1.2 mm rigid plastic signs. Fire extinguisher signs - 200 x 400 mm fire fighting equipment 1.2 mm rigid plastic signs. Fire extinguisher signs 200 x 400 mm fire fighting equipment 1.2 mm rigid plastic signs with s/a backing. Fire extinguisher signs - 200 x 400 mm fire fighting equipment 1.2 mm rigid plastic signs with self adhesive backing. Fire extinguisher signs 200 x 200 mm fire fighting equipment 1.2 mm rigid plastic signs with s/a backing. 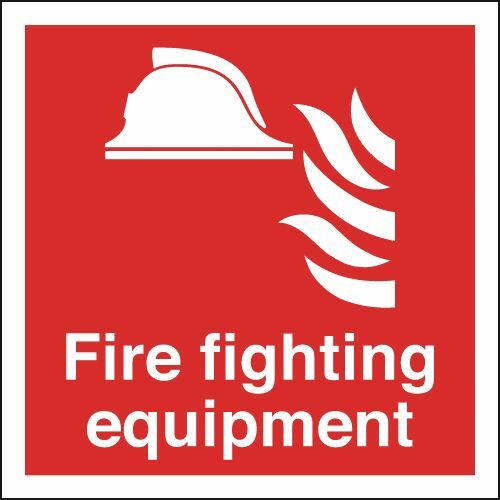 Fire extinguisher signs - 200 x 200 mm fire fighting equipment 1.2 mm rigid plastic signs with self adhesive backing. 280 x 90 fire hose reel for use on self adhesive vinyl labels. Fire extinguisher signs A5fire hose reel self adhesive vinyl labels. Fire extinguisher signs - A5 fire hose reel self adhesive vinyl labels. Fire extinguisher signs 200 x 200 mm fire hose reel self adhesive vinyl labels. Fire extinguisher signs - 200 x 200 mm fire hose reel self adhesive vinyl labels. Fire extinguisher signs 150 x 300 mm fire hose reel self adhesive vinyl labels. Fire extinguisher signs - 150 x 300 mm fire hose reel self adhesive vinyl labels. 280 x 90 fire hose reel for use on 1.2 mm rigid plastic signs. Fire extinguisher signs A5fire hose reel 1.2 mm rigid plastic signs. Fire extinguisher signs - A5 fire hose reel 1.2 mm rigid plastic signs. Fire extinguisher signs 200 x 200 mm fire hose reel 1.2 mm rigid plastic signs. Fire extinguisher signs - 200 x 200 mm fire hose reel 1.2 mm rigid plastic signs. Fire extinguisher signs 150 x 300 mm fire hose reel 1.2 mm rigid plastic signs. Fire extinguisher signs - 150 x 300 mm fire hose reel 1.2 mm rigid plastic signs. 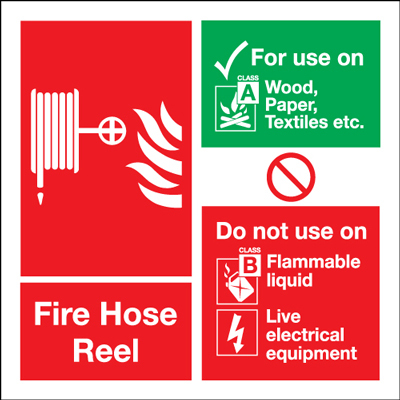 Fire extinguisher signs 200 x 400 mm fire hose reel self adhesive vinyl labels. Fire extinguisher signs - 200 x 400 mm fire hose reel self adhesive vinyl labels. Fire extinguisher signs A3 fire hose reel self adhesive vinyl labels. Fire extinguisher signs - A3 fire hose reel self adhesive vinyl labels. 280 x 90 fire hose reel for use on 1.2 mm rigid plastic signs with s/a backing. 280 x 90 fire hose reel for use on 1.2 mm rigid plastic signs with self adhesive backing. Fire extinguisher signs 450 x 450 mm fire hose reel self adhesive vinyl labels. Fire extinguisher signs - 450 x 450 mm fire hose reel self adhesive vinyl labels. Fire extinguisher signs 200 x 400 mm fire hose reel 1.2 mm rigid plastic signs with s/a backing. Fire extinguisher signs - 200 x 400 mm fire hose reel 1.2 mm rigid plastic signs with self adhesive backing. Fire extinguisher signs A4 fire hose reel 1.2 mm rigid plastic signs. Fire extinguisher signs - A4 fire hose reel 1.2 mm rigid plastic signs. Fire extinguisher signs 200 x 400 mm fire hose reel 1.2 mm rigid plastic signs. Fire extinguisher signs - 200 x 400 mm fire hose reel 1.2 mm rigid plastic signs. Fire extinguisher signs 200 x 200 mm fire hose reel 1.2 mm rigid plastic signs with s/a backing. Fire extinguisher signs - 200 x 200 mm fire hose reel 1.2 mm rigid plastic signs with self adhesive backing. Fire extinguisher signs A5fire hose reel 1.2 mm rigid plastic signs with s/a backing. Fire extinguisher signs - A5 fire hose reel 1.2 mm rigid plastic signs with self adhesive backing. 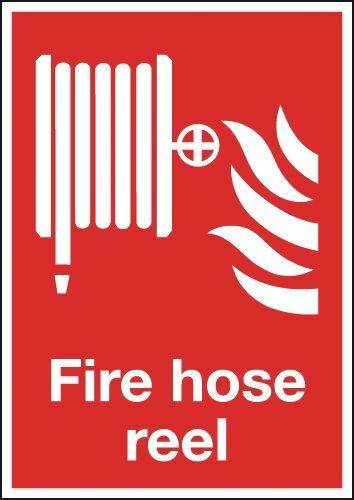 Fire extinguisher signs 150 x 300 mm fire hose reel 1.2 mm rigid plastic signs with s/a backing. Fire extinguisher signs - 150 x 300 mm fire hose reel 1.2 mm rigid plastic signs with self adhesive backing. Fire extinguisher signs A2 420 x 598 mm fire hose reel self adhesive vinyl labels. Fire extinguisher signs - A2 fire hose reel self adhesive vinyl labels. Fire extinguisher signs 450 x 450 mm fire hose reel 1.2 mm rigid plastic signs. Fire extinguisher signs - 450 x 450 mm fire hose reel 1.2 mm rigid plastic signs. Fire extinguisher signs A3 fire hose reel 1.2 mm rigid plastic signs. Fire extinguisher signs - A3 fire hose reel 1.2 mm rigid plastic signs. Fire extinguisher signs A1 fire hose reel self adhesive vinyl labels. Fire extinguisher signs - A1 fire hose reel self adhesive vinyl labels. Fire extinguisher signs A2 420 x 598 mm fire hose reel 1.2 mm rigid plastic signs. Fire extinguisher signs - A2 fire hose reel 1.2 mm rigid plastic signs. Fire extinguisher signs A3 fire hose reel 1.2 mm rigid plastic signs with s/a backing. Fire extinguisher signs - A3 fire hose reel 1.2 mm rigid plastic signs with self adhesive backing. Fire extinguisher signs 450 x 450 mm fire hose reel 1.2 mm rigid plastic signs with s/a backing. 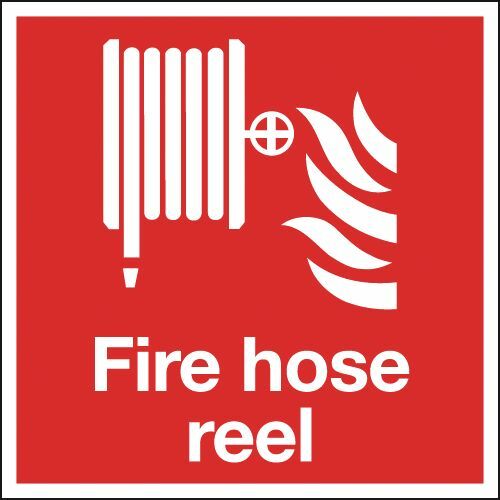 Fire extinguisher signs - 450 x 450 mm fire hose reel 1.2 mm rigid plastic signs with self adhesive backing. Fire extinguisher signs A2 420 x 598 mm fire hose reel 1.2 mm rigid plastic signs with s/a backing. Fire extinguisher signs - A2 fire hose reel 1.2 mm rigid plastic signs with self adhesive backing. Fire extinguisher signs A1 fire hose reel 1.2 mm rigid plastic signs with s/a backing. Fire extinguisher signs - A1 fire hose reel 1.2 mm rigid plastic signs with self adhesive backing. Fire extinguisher signs A1 fire hose reel 1.2 mm rigid plastic signs. Fire extinguisher signs - A1 fire hose reel 1.2 mm rigid plastic signs. Fire extinguisher signs 200 x 250 mm fire hydrant self adhesive vinyl labels. Fire extinguisher signs - 200 x 250 mm fire hydrant self adhesive vinyl labels. Fire extinguisher signs 200 x 400 mm fire hydrant self adhesive vinyl labels. Fire extinguisher signs - 200 x 400 mm fire hydrant self adhesive vinyl labels. Fire extinguisher signs 200 x 250 mm fire hydrant 1.2 mm rigid plastic signs. Fire extinguisher signs - 200 x 250 mm fire hydrant 1.2 mm rigid plastic signs. Fire extinguisher signs 200 x 400 mm fire hydrant 1.2 mm rigid plastic signs. Fire extinguisher signs - 200 x 400 mm fire hydrant 1.2 mm rigid plastic signs. Fire extinguisher signs 200 x 400 mm fire hydrant 1.2 mm rigid plastic signs with s/a backing. Fire extinguisher signs - 200 x 400 mm fire hydrant 1.2 mm rigid plastic signs with self adhesive backing. Fire extinguisher signs 200 x 250 mm fire hydrant 1.2 mm rigid plastic signs with s/a backing. 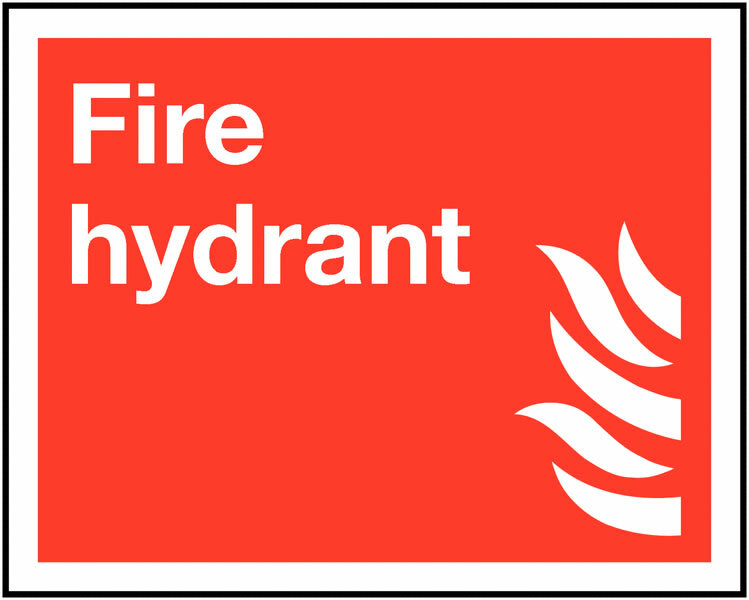 Fire extinguisher signs - 200 x 250 mm fire hydrant 1.2 mm rigid plastic signs with self adhesive backing. Fire extinguisher signs 100 x 200 mm your fire marshals are self adhesive vinyl labels. 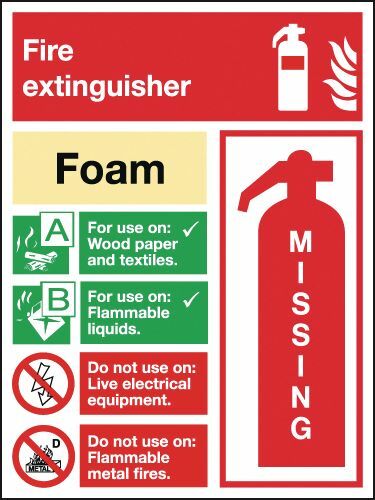 Fire extinguisher signs - 100 x 200 mm your fire marshals are self adhesive vinyl labels. Fire extinguisher signs A5your fire marshals are self adhesive vinyl labels. Fire extinguisher signs - A5 your fire marshals are self adhesive vinyl labels. 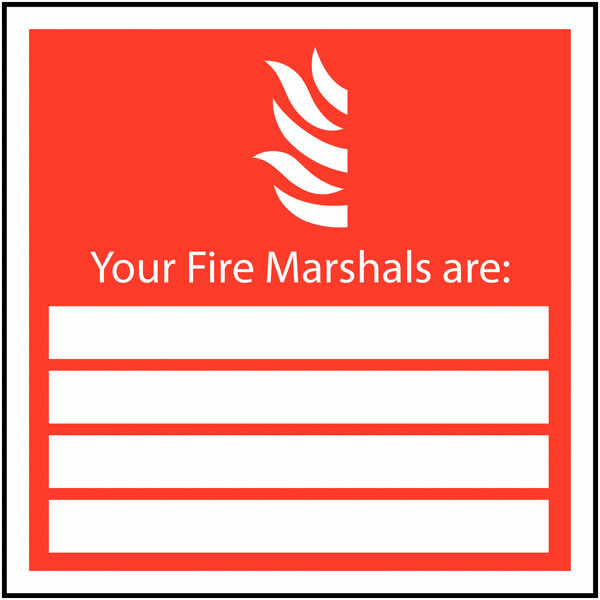 Fire extinguisher signs 100 x 200 mm your fire marshals are 1.2 mm rigid plastic signs. Fire extinguisher signs - 100 x 200 mm your fire marshals are 1.2 mm rigid plastic signs. Fire extinguisher signs 200 x 200 mm your fire marshals are self adhesive vinyl labels. Fire extinguisher signs - 200 x 200 mm your fire marshals are self adhesive vinyl labels. Fire extinguisher signs A5your fire marshals are 1.2 mm rigid plastic signs. Fire extinguisher signs - A5 your fire marshals are 1.2 mm rigid plastic signs. Fire extinguisher signs 200 x 200 mm your fire marshals are 1.2 mm rigid plastic signs. Fire extinguisher signs - 200 x 200 mm your fire marshals are 1.2 mm rigid plastic signs. 300 x 200 mm your fire marshals are self adhesive vinyl labels. 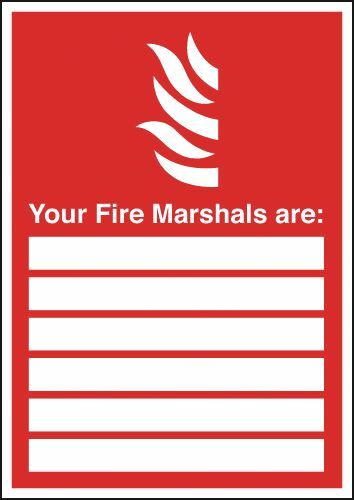 Fire extinguisher signs 200 x 400 mm your fire marshals are self adhesive vinyl labels. Fire extinguisher signs - 200 x 400 mm your fire marshals are self adhesive vinyl labels. Fire extinguisher signs A4 your fire marshals are self adhesive vinyl labels. Fire extinguisher signs - A4 your fire marshals are self adhesive vinyl labels. Fire extinguisher signs 200 x 400 mm your fire marshals are 1.2 mm rigid plastic signs. Fire extinguisher signs - 200 x 400 mm your fire marshals are 1.2 mm rigid plastic signs. Fire extinguisher signs 200 x 400 mm your fire marshals are 1.2 mm rigid plastic signs with s/a backing. Fire extinguisher signs - 200 x 400 mm your fire marshals are 1.2 mm rigid plastic signs with self adhesive backing. Fire extinguisher signs 100 x 200 mm your fire marshals are 1.2 mm rigid plastic signs with s/a backing. Fire extinguisher signs - 100 x 200 mm your fire marshals are 1.2 mm rigid plastic signs with self adhesive backing. Fire extinguisher signs A4 your fire marshals are 1.2 mm rigid plastic signs. Fire extinguisher signs - A4 your fire marshals are 1.2 mm rigid plastic signs. Fire extinguisher signs A3 your fire marshals are self adhesive vinyl labels. Fire extinguisher signs - A3 your fire marshals are self adhesive vinyl labels. Fire extinguisher signs 200 x 200 mm your fire marshals are 1.2 mm rigid plastic signs with s/a backing. Fire extinguisher signs - 200 x 200 mm your fire marshals are 1.2 mm rigid plastic signs with self adhesive backing. Fire extinguisher signs A5your fire marshals are 1.2 mm rigid plastic signs with s/a backing. Fire extinguisher signs - A5 your fire marshals are 1.2 mm rigid plastic signs with self adhesive backing. Fire extinguisher signs A2 420 x 598 mm your fire marshals are self adhesive vinyl labels. Fire extinguisher signs - A2 your fire marshals are self adhesive vinyl labels. 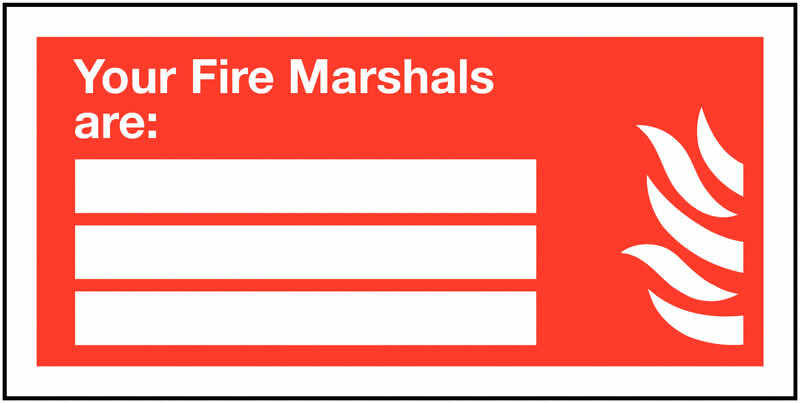 300 x 200 mm your fire marshals are 1.2 mm rigid plastic signs with s/a backing. 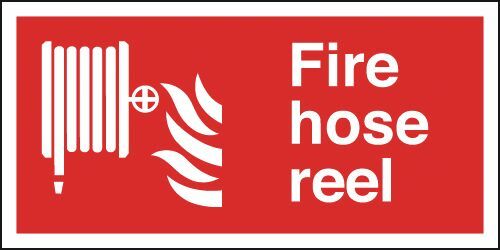 300 x 200 mm your fire marshals are 1.2 mm rigid plastic signs with self adhesive backing. Fire extinguisher signs A3 your fire marshals are 1.2 mm rigid plastic signs. Fire extinguisher signs - A3 your fire marshals are 1.2 mm rigid plastic signs. Fire extinguisher signs A1 your fire marshals are self adhesive vinyl labels. Fire extinguisher signs - A1 your fire marshals are self adhesive vinyl labels. Fire extinguisher signs A2 420 x 598 mm your fire marshals are 1.2 mm rigid plastic signs. Fire extinguisher signs - A2 your fire marshals are 1.2 mm rigid plastic signs. Fire extinguisher signs A3 your fire marshals are 1.2 mm rigid plastic signs with s/a backing. Fire extinguisher signs - A3 your fire marshals are 1.2 mm rigid plastic signs with self adhesive backing. Fire extinguisher signs A2 420 x 598 mm your fire marshals are 1.2 mm rigid plastic signs with s/a backing. Fire extinguisher signs - A2 your fire marshals are 1.2 mm rigid plastic signs with self adhesive backing. Fire extinguisher signs A1 your fire marshals are 1.2 mm rigid plastic signs. Fire extinguisher signs - A1 your fire marshals are 1.2 mm rigid plastic signs. Fire extinguisher signs A1 your fire marshals are 1.2 mm rigid plastic signs with s/a backing. Fire extinguisher signs - A1 your fire marshals are 1.2 mm rigid plastic signs with self adhesive backing. Fire extinguisher signs A4 your fire marshals are 1.2 mm rigid plastic signs with s/a backing. Fire extinguisher signs - A4 your fire marshals are 1.2 mm rigid plastic signs with self adhesive backing. Fire extinguisher signs 50 x 100 mm in the event of fire do not use self adhesive vinyl labels. 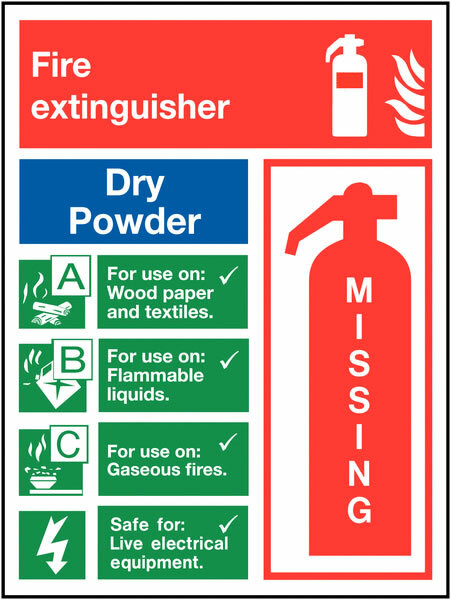 Fire extinguisher signs - 50 x 100 mm in the event of fire do not use self adhesive vinyl labels. Fire extinguisher signs 50 x 100 mm in the event of fire do not use 1.2 mm rigid plastic signs. Fire extinguisher signs - 50 x 100 mm in the event of fire do not use 1.2 mm rigid plastic signs. Fire extinguisher signs 50 x 100 mm in the event of fire do not use 1.2 mm rigid plastic signs with s/a backing. 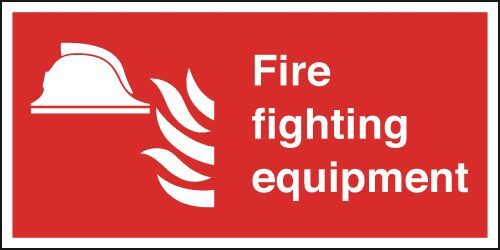 Fire extinguisher signs - 50 x 100 mm in the event of fire do not use 1.2 mm rigid plastic signs with self adhesive backing. Fire extinguisher signs 100 x 200 mm fire point self adhesive vinyl labels. Fire extinguisher signs - 100 x 200 mm fire point self adhesive vinyl labels. Fire extinguisher signs A5fire point self adhesive vinyl labels. Fire extinguisher signs - A5 fire point self adhesive vinyl labels. Fire extinguisher signs 200 x 200 mm fire point self adhesive vinyl labels. Fire extinguisher signs - 200 x 200 mm fire point self adhesive vinyl labels. Fire extinguisher signs 100 x 200 mm fire point 1.2 mm rigid plastic signs. Fire extinguisher signs - 100 x 200 mm fire point 1.2 mm rigid plastic signs. Fire extinguisher signs 250 x 200 mm fire point self adhesive vinyl labels. Fire extinguisher signs - 250 x 200 mm fire point self adhesive vinyl labels. Fire extinguisher signs A5fire point 1.2 mm rigid plastic signs. 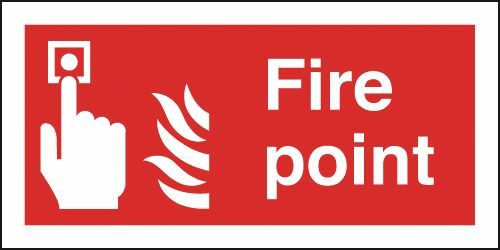 Fire extinguisher signs - A5 fire point 1.2 mm rigid plastic signs. Fire extinguisher signs 100 x 250 mm fire point 1.2 mm rigid plastic signs. Fire extinguisher signs - 100 x 250 mm fire point 1.2 mm rigid plastic signs. Fire extinguisher signs 200 x 200 mm fire point 1.2 mm rigid plastic signs. Fire extinguisher signs - 200 x 200 mm fire point 1.2 mm rigid plastic signs. Fire extinguisher signs 200 x 400 mm fire point self adhesive vinyl labels. Fire extinguisher signs - 200 x 400 mm fire point self adhesive vinyl labels. Fire extinguisher signs 250 x 300 mm fire point self adhesive vinyl labels. Fire extinguisher signs - 250 x 300 mm fire point self adhesive vinyl labels. Fire extinguisher signs 250 x 200 mm fire point 1.2 mm rigid plastic signs. Fire extinguisher signs - 250 x 200 mm fire point 1.2 mm rigid plastic signs. Fire extinguisher signs A4 fire point self adhesive vinyl labels. Fire extinguisher signs - A4 fire point self adhesive vinyl labels. Fire extinguisher signs A3 fire point self adhesive vinyl labels. Fire extinguisher signs - A3 fire point self adhesive vinyl labels. Fire extinguisher signs 200 x 400 mm fire point 1.2 mm rigid plastic signs. Fire extinguisher signs - 200 x 400 mm fire point 1.2 mm rigid plastic signs. Fire extinguisher signs 250 x 300 mm fire point 1.2 mm rigid plastic signs. Fire extinguisher signs - 250 x 300 mm fire point 1.2 mm rigid plastic signs. Fire extinguisher signs 100 x 200 mm fire point 1.2 mm rigid plastic signs with s/a backing. Fire extinguisher signs - 100 x 200 mm fire point 1.2 mm rigid plastic signs with self adhesive backing. Fire extinguisher signs 200 x 400 mm fire point 1.2 mm rigid plastic signs with s/a backing. Fire extinguisher signs - 200 x 400 mm fire point 1.2 mm rigid plastic signs with self adhesive backing. Fire extinguisher signs A4 fire point 1.2 mm rigid plastic signs. Fire extinguisher signs - A4 fire point 1.2 mm rigid plastic signs. Fire extinguisher signs 200 x 200 mm fire point 1.2 mm rigid plastic signs with s/a backing. Fire extinguisher signs - 200 x 200 mm fire point 1.2 mm rigid plastic signs with self adhesive backing. Fire extinguisher signs A5fire point 1.2 mm rigid plastic signs with s/a backing. 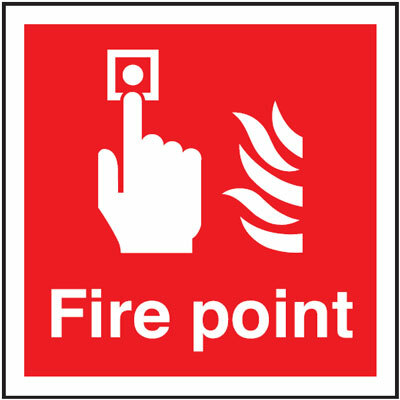 Fire extinguisher signs - A5 fire point 1.2 mm rigid plastic signs with self adhesive backing. Fire extinguisher signs 250 x 200 mm fire point 1.2 mm rigid plastic signs with s/a backing. Fire extinguisher signs - 250 x 200 mm fire point 1.2 mm rigid plastic signs with self adhesive backing. Fire extinguisher signs 250 x 300 mm fire point 1.2 mm rigid plastic signs with s/a backing. Fire extinguisher signs - 250 x 300 mm fire point 1.2 mm rigid plastic signs with self adhesive backing. Fire extinguisher signs A4 fire point 1.2 mm rigid plastic signs with s/a backing. 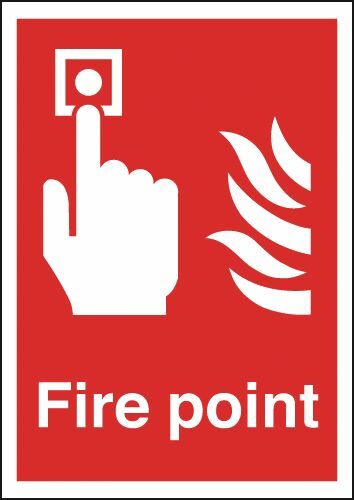 Fire extinguisher signs - A4 fire point 1.2 mm rigid plastic signs with self adhesive backing. Fire extinguisher signs 280 x 90 wet chemical for use on self adhesive vinyl labels. Fire extinguisher signs - 280 x 90 wet chemical for use on self adhesive vinyl labels. 200 x 200 mm for use on any fire self adhesive vinyl labels. Fire extinguisher signs 280 x 90 wet chemical for use on 1.2 mm rigid plastic signs. Fire extinguisher signs - 280 x 90 wet chemical for use on 1.2 mm rigid plastic signs. 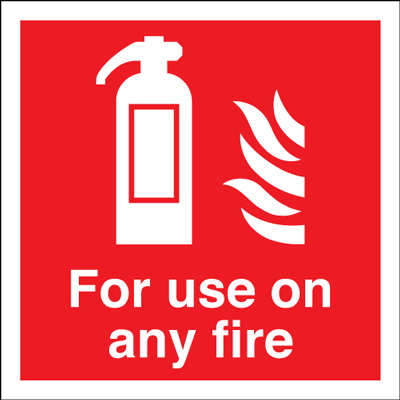 Fire extinguisher signs 200 x 200 mm for use on electrical fires self adhesive vinyl labels. 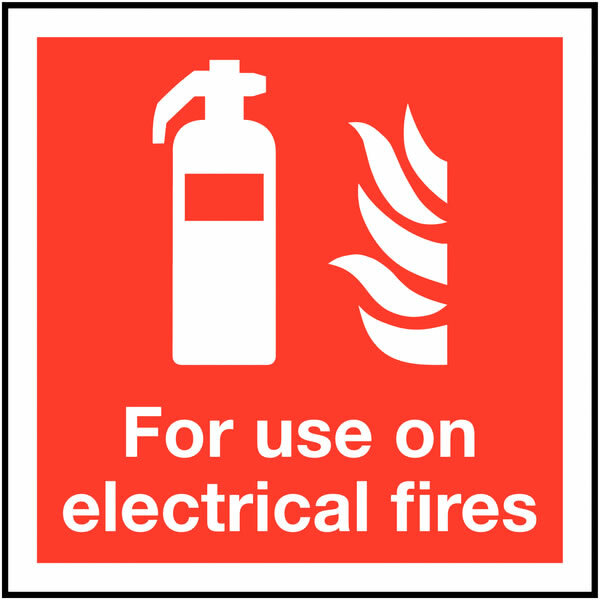 Fire extinguisher signs - 200 x 200 mm for use on electrical fires self adhesive vinyl labels. Fire extinguisher signs 200 x 200 mm for use on electrical fires 1.2 mm rigid plastic signs. Fire extinguisher signs - 200 x 200 mm for use on electrical fires 1.2 mm rigid plastic signs. 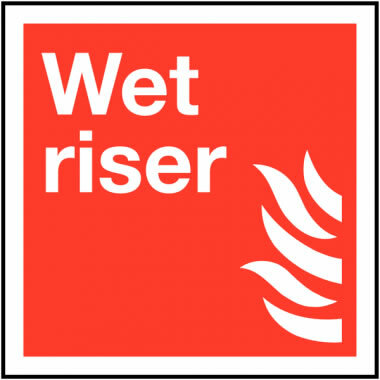 200 x 200 mm for use on any fire 1.2 mm rigid plastic signs. Fire extinguisher signs 280 x 90 wet chemical for use on 1.2 mm rigid plastic signs with s/a backing. Fire extinguisher signs - 280 x 90 wet chemical for use on 1.2 mm rigid plastic signs with self adhesive backing. Fire extinguisher signs 200 x 200 mm for use on electrical fires 1.2 mm rigid plastic signs with s/a backing. Fire extinguisher signs - 200 x 200 mm for use on electrical fires 1.2 mm rigid plastic signs with self adhesive backing. 200 x 200 mm for use on any fire 1.2 mm rigid plastic signs with s/a backing. 200 x 200 mm for use on any fire 1.2 mm rigid plastic signs with self adhesive backing. Fire extinguisher signs 280 x 90 foam extinguisher for use on self adhesive vinyl labels. Fire extinguisher signs - 280 x 90 foam extinguisher for use on self adhesive vinyl labels. Fire extinguisher signs 280 x 90 foam extinguisher for use on 1.2 mm rigid plastic signs. 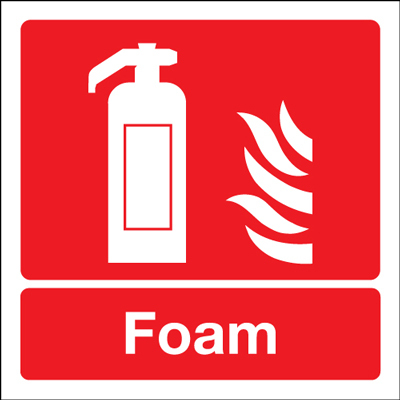 Fire extinguisher signs - 280 x 90 foam extinguisher for use on 1.2 mm rigid plastic signs. Fire extinguisher signs 280 x 90 foam extinguisher for use on 1.2 mm rigid plastic signs with s/a backing. Fire extinguisher signs - 280 x 90 foam extinguisher for use on 1.2 mm rigid plastic signs with self adhesive backing. Fire extinguisher signs 200 x 200 mm dry riser self adhesive vinyl labels. Fire extinguisher signs - 200 x 200 mm dry riser self adhesive vinyl labels. Fire extinguisher signs 200 x 250 mm dry riser self adhesive vinyl labels. Fire extinguisher signs - 200 x 250 mm dry riser self adhesive vinyl labels. Fire extinguisher signs 200 x 200 mm wet riser self adhesive vinyl labels. Fire extinguisher signs - 200 x 200 mm wet riser self adhesive vinyl labels. Fire extinguisher signs 200 x 200 mm dry riser 1.2 mm rigid plastic signs. Fire extinguisher signs - 200 x 200 mm dry riser 1.2 mm rigid plastic signs. 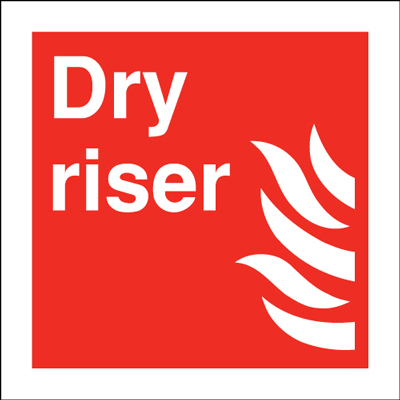 Fire extinguisher signs 200 x 250 mm dry riser 1.2 mm rigid plastic signs. 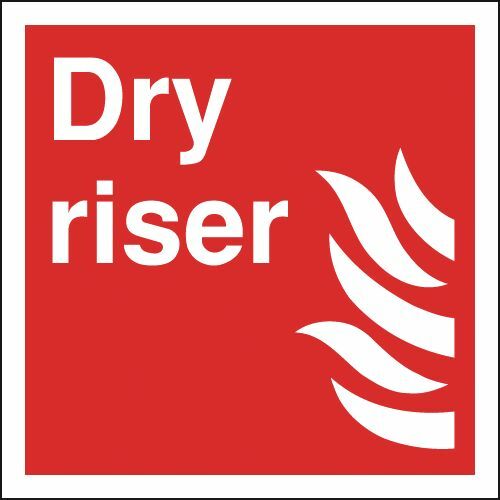 Fire extinguisher signs - 200 x 250 mm dry riser 1.2 mm rigid plastic signs. Fire extinguisher signs 200 x 200 mm wet riser 1.2 mm rigid plastic signs. 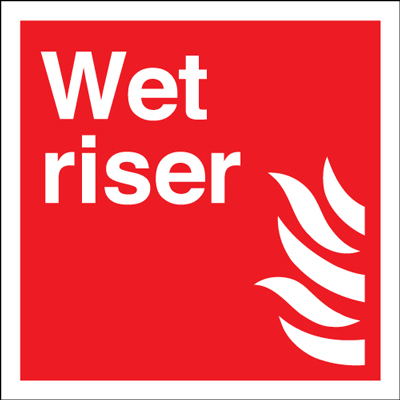 Fire extinguisher signs - 200 x 200 mm wet riser 1.2 mm rigid plastic signs. Fire extinguisher signs 200 x 200 mm wet riser 1.2 mm rigid plastic signs with s/a backing. Fire extinguisher signs - 200 x 200 mm wet riser 1.2 mm rigid plastic signs with self adhesive backing. Fire extinguisher signs 200 x 200 mm dry riser 1.2 mm rigid plastic signs with s/a backing. Fire extinguisher signs - 200 x 200 mm dry riser 1.2 mm rigid plastic signs with self adhesive backing. 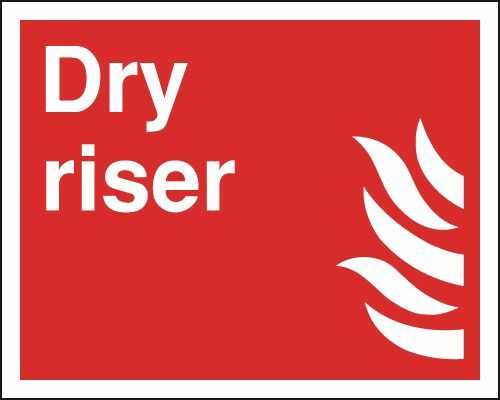 Fire extinguisher signs 200 x 250 mm dry riser 1.2 mm rigid plastic signs with s/a backing. Fire extinguisher signs - 200 x 250 mm dry riser 1.2 mm rigid plastic signs with self adhesive backing. Fire extinguisher signs 200 x 200 mm sprinkler control valve self adhesive vinyl labels. Fire extinguisher signs - 200 x 200 mm sprinkler control valve self adhesive vinyl labels. 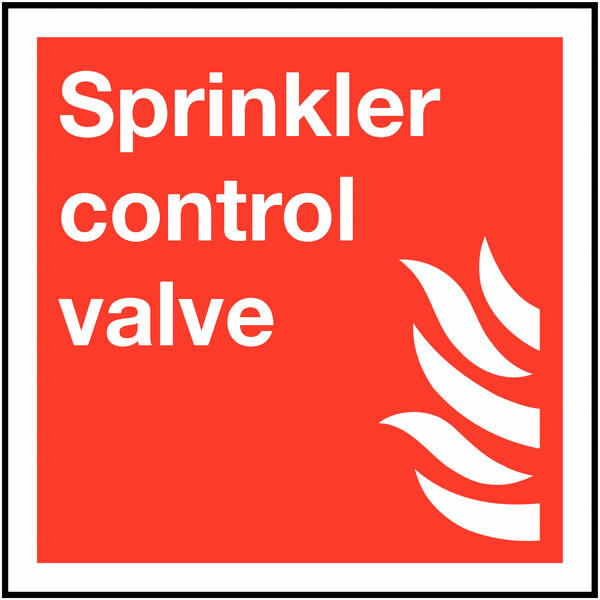 Fire extinguisher signs 200 x 200 mm sprinkler control valve 1.2 mm rigid plastic signs. Fire extinguisher signs - 200 x 200 mm sprinkler control valve 1.2 mm rigid plastic signs. Fire extinguisher signs 200 x 400 mm sprinkler control valve self adhesive vinyl labels. Fire extinguisher signs - 200 x 400 mm sprinkler control valve self adhesive vinyl labels. 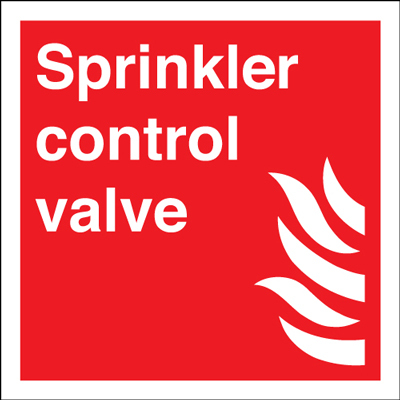 Fire extinguisher signs 200 x 400 mm sprinkler control valve 1.2 mm rigid plastic signs. Fire extinguisher signs - 200 x 400 mm sprinkler control valve 1.2 mm rigid plastic signs. Fire extinguisher signs 200 x 400 mm sprinkler control valve 1.2 mm rigid plastic signs with s/a backing. 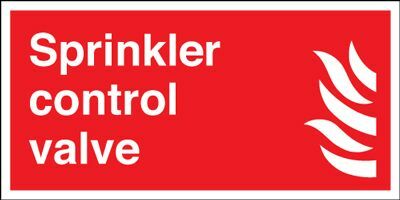 Fire extinguisher signs - 200 x 400 mm sprinkler control valve 1.2 mm rigid plastic signs with self adhesive backing. Fire extinguisher signs 200 x 200 mm sprinkler control valve 1.2 mm rigid plastic signs with s/a backing. Fire extinguisher signs - 200 x 200 mm sprinkler control valve 1.2 mm rigid plastic signs with self adhesive backing.